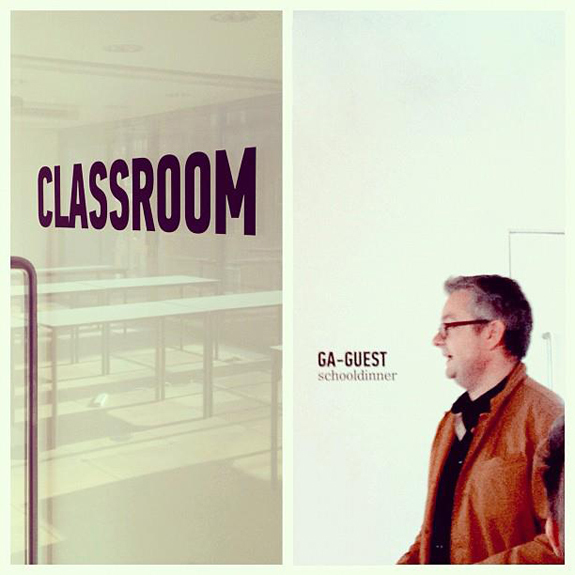 Finally I got the chance to attend at my first CreativeMornings today. Since the series of breakfast talks got to Berlin I tried to go there but I never got a ticket or had the time. By accident I visited the CM website last week and saw this event in the General Assembly, a really nice location above the startup accelerator White Bear Yard and IDEO’s London office. And it’s just a 5 minutes walk from the AKQA office. Thanks to my alarm clock I got a ticket! The breakfast was nice and the talk was awesome. Matt Buckhurst & Adam Savage from FutureBrand talked about their work for the “most complex branding in the history of UK marketing” (Times), the branding of the Olympic Games 2012 in London. The explanations about the process, the insights and the thoughts behind every part of communication were fascinating. I hope the video will be online soon so you get the chance to hear/see them too. 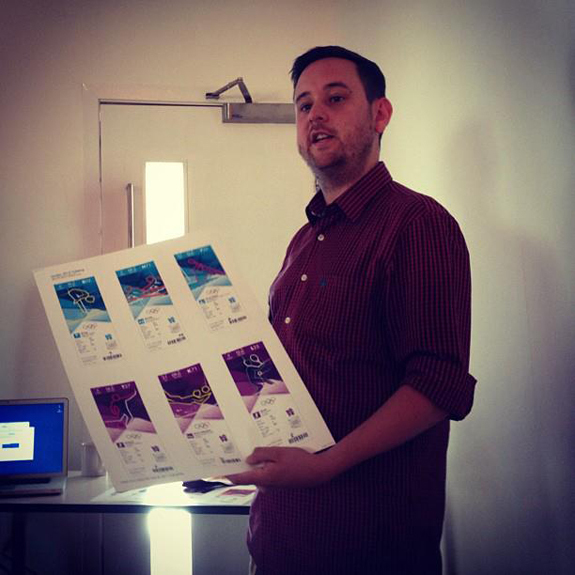 Adam Savage of FutureBrand showing off his excellent Olympic ticket designs.